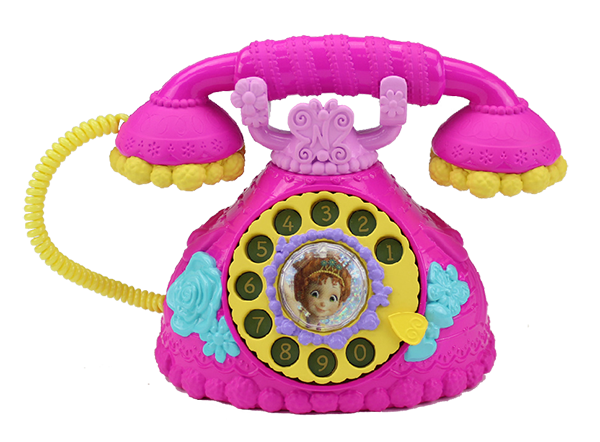 Inspired by the tv show Fancy Nancy on Disney Jr, Jaaks Pacific has a line of Fancy Nancy toys including a Fancy Nancy French Phone. Disclosure: We received a phone in exchange for this post. This post contains affiliate links. Press the Fancy Nancy button to hear 9+ Fancy Nancy phrases and see pretty lights. To make this work it requires 2 AA batteries which ARE included. Not too many toys include the batteries so I really appreciate that. My 4 year old is going to be ecstatic when she receives this phone for Christmas. Kids LOVE phones. If she enjoys it enough I may get her another toy from the Fancy Nancy line for her birthday. See the whole line of toys here.